Row 2: chain 2, turn, skip 1st sc, 1sc into the next chain-space,*chain 1, skip next sc, 1sc into the next chain - space* repeat from* to * across. Finish your row with 1sc into the turning chain-space. Go on top, place the neddle in to the 1st loop, out to the next. Repeat around. In the end grab both tales and pull them tightly, make a tight knot. Sew the bunny tail to the hat. 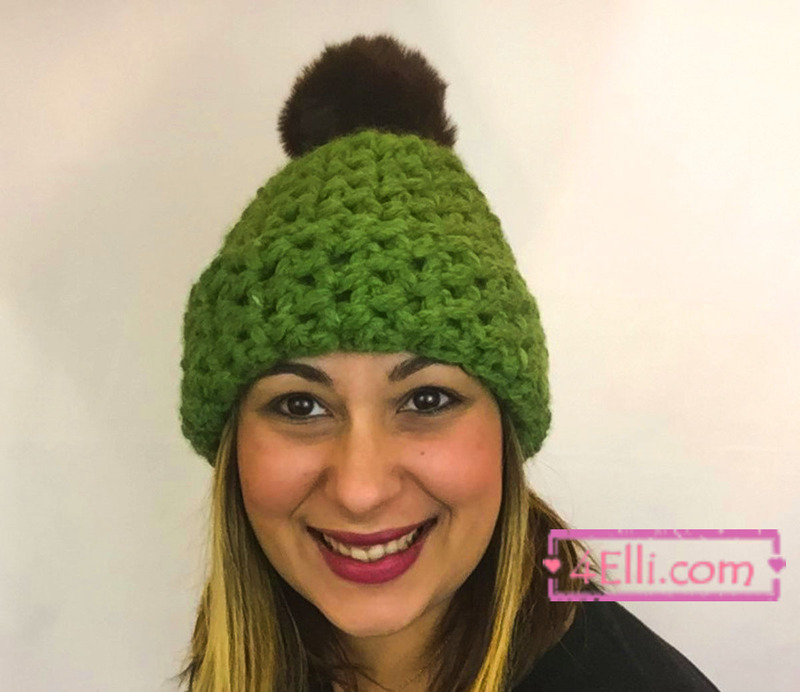 You can watch our video tutorial witch shows you how to crochet this beautiful bunny tail hat! !